In 2012 20th Century Fox distributed a film produced by Tim Burton called "Abraham Lincoln Vampire Hunter" that gets an abysmal 35% rating on rottentomatoes. The idea of Abraham Lincoln battling a group of vampires trying to take over the USA is about as far fetched as taking a Lincoln apex hunting on a race track. 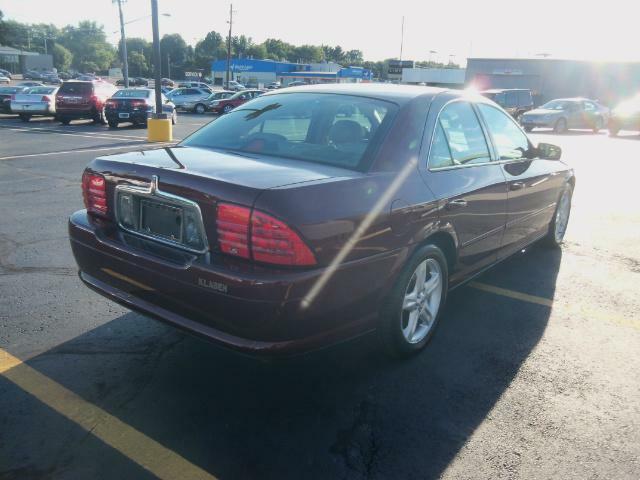 Needless to say, when someone mentions a late model, rear drive, manual transmission, 6-cylinder luxury sedan with a sophisticated double-wishbone front & rear suspension - thoughts immediately jump to BMW, perhaps a rare low option Mercedes, or something from Lexus/Infiniti. You may be surprised to learn that such a vehicle was indeed designed, built and assembled in Michigan at Lincoln's now dead Wixom Assembly plant. 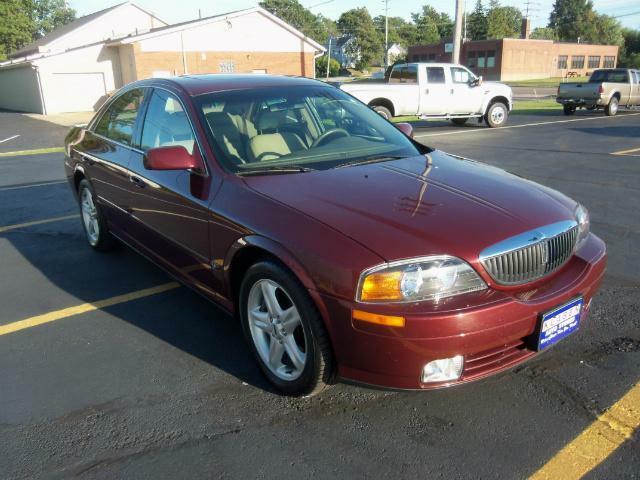 Find this 2000 Lincoln LS V6 5-spd for sale in Kent, OH offered on ebay for $8,998 buy-it-now. Using a historical figure to stab vampires in the heart is about as preposterous as expecting a Lincoln to be "fun," but it hasn't always been this way. In the pre-war era big V12 powered Lincolns were surprisingly quick and competed head-to-head with other high-end fast luxury cars. The post war era wasn't so kind to Lincoln's image and the last time they produced a manual transmission car was in 1951 (the Cosmopolitan)...until the 2000 LS was released. The manual was only available with the base V6 and the sport package and probably sold in the dozens, but the "Betty White in a sports bra" LS was cool enough to win Motor Trend's 2000 Car of the Year award...actually based on the number of Lincoln full paged ads in the mag...but still...gotta mean something. The base LS is powered by a 3.0 liter Duratec V6 that puts 210 horsepower and 220 ft-lbs of torque into a Getrag 5-speed manual gearbox. It was a surprising twist from the company that paints most of its vehicles in walker grey, hospital smock blue and hearing aid beige. The performance from the 3600 lb sedan isn't extremely fast, but the double wishbone front/rear suspension from the Ford DEW98 platform (shared with Jaguar S-Type) gives it decent handling and it should drive like a softer version of a BMW 5-series. 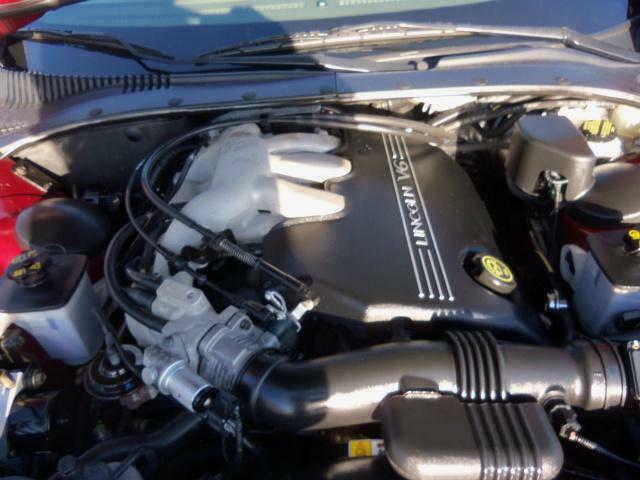 The inside of the LS is in good shape, as it should be for a 33k mile example that we imagine could have been purchased and only driven on the weekends by a little old lady. Who knows, it could have been owned by a lunatic who took it to the track on the weekends and let a family of racoons live in the trunk - but we always imagine that previous owners were nice, independent of the truth. Ah, the Wixom Unicorn. These pop up from time to time as I remember seeing one on the lemons forum last year. Actually not a bad car to drive; the 'slower 5 series' comparison is pretty accurate, from my limited time in the seat of the LS. 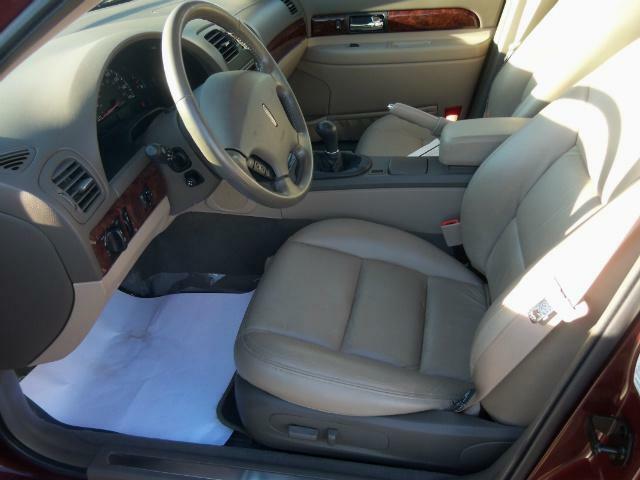 For more than 5K less I have an '01 automatic 80k/mi spotless interior nice ext and still no takers. Can I get mine on here? Send in your submission to tips@dailyturismo.com - if it is a good deal, we'll post it! I have the same car in white, original owner, 188Kplus miles. Love it. Fun to drive. Almost as much fun as my wife's 2001 BMW 325 convertible. Gets crap MPG (15/25) & requires premium. At this point the cost of darn near every repair exceeds its trade in value. .. but I keep getting them done.